Urs Palace is quite popular in the Bengaluru hospitality circuit mainly due to its close proximity to a number of important landmarks. The rooms provided by this establishment are very comfortable to live in and pleasant to look at. 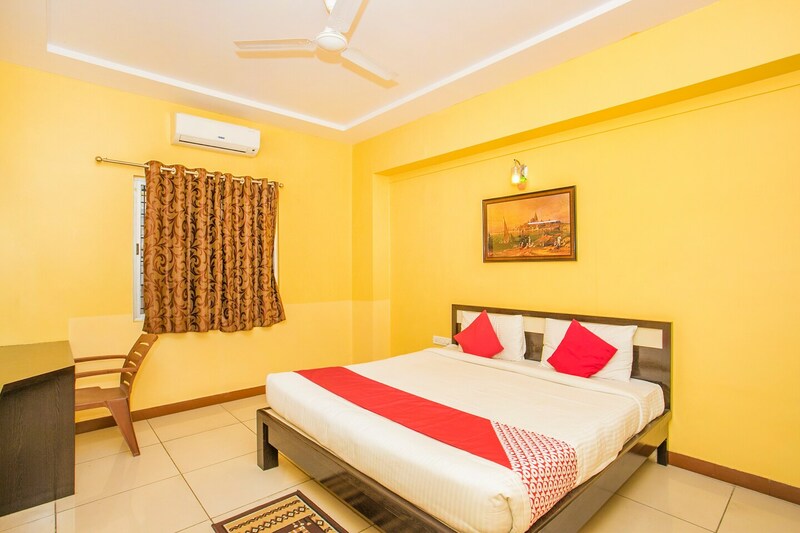 The rooms are spacious and are well-furnished. Large windows have been provided in each room and the rooms are well-lit. The rooms have been painted in bold hues and the color code is well complemented by the different elements in the room. The extra facilities provided by the hotel are free Wifi, parking provisions, a constant power backup source, CCTV cameras and card payment in all areas. All these facilities can be used by the guests to relax and rejuvenate after a tough day at work.